You are here: Home / Heart Disease / Cardiac Arrhythmias / Eliquis versus Warfarin – Which is Best? Eliquis versus Warfarin – Which is Best? There are a variety of blood thinners, some of the major types include: vitamin K antagonists (coumarins), heparin or low molecular weight heparin (LMWH), direct thrombin inhibitors, and factor Xa inhibitors. For decades, the blood thinners of choice were Coumadin (warfarin) and heparin. Recently, however, several other medications known as novel oral anticoagulants (NOACs) are readily available. The available NOACs include: Pradaxa (dabigatran), Xarelto (rivaroxaban), Eliquis (apixaban), and Savaysa (edoxaban). The NOACs have been evaluated for the prevention of stroke in AFib and treatment and prevention of DVTs and PTEs. In this post we will compare and contrast Eliquis (apixaban) and Coumadin (warfarin). Warfarin has been safely used around the world for decades. Warfarin treats and prevents blood clots by decreasing the production of several vitamin K-dependent blood clotting proteins, hence the name vitamin K antagonist. Warfarin requires frequent laboratory monitoring and dose adjustment to maintain warfarin levels within a small therapeutic window, as measured by an international normalized ratio (INR) blood test. The INR range is determined by a physician and is specific for the particular medical indication. For most patients, the INR range is 2 to 3. This small therapeutic window can be very difficult to achieve in some patients. It takes about 5-10 days for the blood thinning effect of warfarin to begin and to wear off, so it must be stopped several days before any medical procedure or surgery. During breaks in warfarin treatment, patients may need to “bridge” themselves with other blood thinners to prevent blood clots until the warfarin levels slowly get back into therapeutic range. Most importantly for patients, certain foods that contain vitamin K (e.g. green leafy vegetables, spinach, brussel sprouts, kale, etc.) and certain medications (e.g. antibiotics, blood pressure medications, cholesterol medications, herbal supplements, etc.) can decrease or increase warfarin levels. These food and medication interactions make managing a patient’s warfarin level even more difficult. Warfarin is inexpensive relative to other blood thinning options and a month’s supply can cost $4.00 at almost all pharmacies. The NOACs are indeed more expensive than warfarin and the prices can vary depending on your health insurance coverage. However, the NOACs have been clearly shown to be cost-effective alternatives to warfarin. This is even truer with regards to Eliquis, when compared to the other NOACs, according to the United Kingdom National Health Services (NHS). Eliquis is a factor Xa inhibitor, all NOACs inhibit individual clotting proteins, thus inhibiting coagulation and making the blood thin. The ARISTOTLE trial showed that treatment with Eliquis prevented more strokes, caused less bleeding, and had an 11% reduction in death compared to warfarin. This “triple” advantage in AFib is true only for Eliquis; no other NOAC can make that statement. The 11% reduction in death was primarily from a reduction in cardiovascular death, particularly stroke deaths, because nonvascular death rates were similar to warfarin. Eliquis is similarly effective in comparison with warfarin for the treatment and long-term prevention of DVT and PTE, but has fewer major bleeding complications. 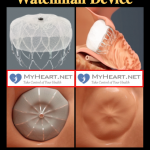 Of note, NOACs are not recommended for patients with AFib and rheumatic mitral stenosis, a mechanical or bioprosthetic heart valve, or mitral valve repair. Overall, there is convincing evidence that Eliquis is consistently superior to warfarin and it is increasingly difficult to view Eliquis simply as an alternative to warfarin. Eliquis has minimal interaction with foods and other medications, thus there are no dietary restrictions. Eliquis does not require laboratory monitoring or dose adjustment. However, the prothrombin time (PT) or anti-Xa activity can provide a qualitative measurement of the presence of factor Xa inhibitors. Eliquis is shorter-acting than warfarin and the blood thinning effect is quickly gained or lost after about 24 hours. Eliquis rarely requires bridging because it is shorter-acting and can be safely stopped a day or two before any medical procedure or surgery. A major criticism of the NOACs concluded that there was no way to “reverse” the blood thinning effect in patients who were actively bleeding. That particular limitation for Eliquis has now recently changed. Andexanet alfa was designed to reverse the blood thinning effects of factor Xa inhibitors. 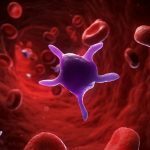 Recently, the first randomized control trial showed that andexanet alfa reversed the bleeding effects of Eliquis safely and effectively without any evidence of major side effects. Additionally in the future, four-factor prothrombin complex concentrate (4F-PCC or Kcentra) may have potential for reversing the bleeding effects of Eliquis in cases of acute bleeding or prior to emergency surgery. 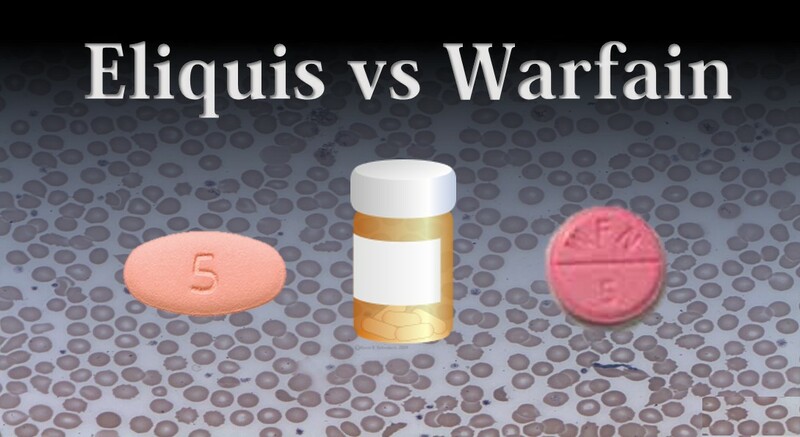 Eliquis versus Warfarin: Which is the Best Blood Thinner for You? It should be noted that there are no direct study comparisons between the different NOACs to date. However, for patients at risk for stroke in AFib, Eliquis is the only NOAC that is better than warfarin in the prevention of stroke and results in fewer bleeding complications. Based on the current available evidence it appears that, among the different NOACs, Eliquis has the most favorable risk-to-benefit ratio compared to warfarin. The favorable benefits of Eliquis compared to the other NOACs likely extends to the other indications for blood thinners as well, including DVT and PTE, but this has not yet been proven by any clinical studies. So what is the verdict for Eliquis versus Warfarin? Eliquis is a very attractive alternative to warfarin, and even to the other NOACs, because of the improved effectiveness and enhanced safety profile for its FDA approved indications. However, the best blood thinner for you and your specific indication should be decided after a thoughtful physician-patient discussion. Are Eliquis and Ami0darone compatibal? Only caution is advised. This combination may increase apixaban levels, and potentially increase the risk of bleeding. However, this combination is used quite frequently in practice with a low incidence of adverse events. You should check your dosing and consider changing to amiodarone 200mg once a day, after a thoughtful discussion with your physician. Thank you very much for your question! 1) Any experiance with Eliquis in APLA synd. 2) Can Eliquis be taken concomitantly with clopidogrel? Eliquis has not been studied in antiphospholipid antibody syndrome (APS), and it probably never will be. The recommended anticoagulants in APS are warfarin and heparin. Yes, Eliquis can be taken with clopidogrel. However, the risk/benefit must be weighed and discussed with your physician as this combination may increase the risk of bleeding due to the additive antithrombotic (i.e. blood thinning) effects. Eliquis may not be right for everyone. Thank you for sharing. Hello. I’m 61. I’m going in for open heart surgery soon for leaky valve. They said after surgery I go off Eliqius and back onto warfarin. What would be the reason for this please. What type and location (i.e. which valve) of valve surgery are you having? Certain valve surgeries are only allowed to have warfarin as the anticoagulant. Other valve surgeries require warfarin for a period of time, then you can go back to Eliquis. It largely depends on the type and location of your valve surgery. I am 65yo and one year ago had a saddle pulmonary embolism and DVT. I take warfarin 2.5 and they tell me will have to the rest of my life. Is Eliquis approved for long tem use for someone my age? I want the safest possible medication. I do enjoy a couple of beers and they tell me it’s ok because my dosage has been adjusted for it. Thoughts ,please? It sounds like you had a very serious thromboembolic event a year ago, so yes, you will likely need lifelong anticoagulation. Eliquis is approved for long-term use in deep vein thrombosis (DVT) and pulmonary embolism (PE) with no dosage adjustments necessary, except for being coadministered with drugs that are strong dual inhibitors or inducers of cytochrome P450 3A4 (CYP3A4) and P-glycoprotein (P-gp) which your doctor should know to look out for. Eliquis is safe when compared to warfarin, and in some cases safer. However, if you have been stable on warfarin for a long time, then it would be reasonable to remain anticoagulated with warfarin. Eliquis would definitely be an option for you and I would discuss all this with your physician. Thank you very much for your question! Thank you for your help. If only safe to age 80 what happens after that> Also what about me enjoying my beer with Eliquis? For the treatment of DVT or PE, Eliquis does not need to be adjusted based on your age. For the reduction in the risk of stroke/systemic embolism in nonvalvular atrial fibrillation (NVAF), after 80 years old, the Eliquis dose might need to be adjusted based on your weight and kidney function. If your baseline liver function is normal, none of the current anticoagulants have an interaction or contraindication with regards to mild alcohol intake. This is just anecdotal, but I had a saddle PE and DVT, equally serious, just over a year ago. I’m 56. I’ve been on Eliquis since, and I am having side effects that are getting serious enough that I’m discussing Warfarin with my doctor. Specifically, incredible joint pain, back pain and neck pain that just won’t quit, numbness in my legs and feet, difficulty walking distances, insomnia, and general exhaustion that at times leaves me completely wiped out. Not bleeding issues or life threatening, but a genuine reduction in quality of life, that many others report as “I feel like I’ve aged 20 yrs.” Anecdotes abound around Internet board of similar reports, and, really, for all of the anticoagulants. It’s a bit depressing. But I’d say if you’re having a trouble free experience with any of these things, it seems like a good idea to keep at it? People can have different reactions and experiences with the various anticoagulants. I would suggest switching to a different NOAC or trying warfarin, to see if that improves your symptoms. Hi Agnes , I am on Eliquis and am having the same side effects that you have did you switch to warding? I am also having joint problems since taking Eliquis. I am in the process of switching to. Warfarin to see if the joint problems go away. That is an unusual side effect of Eliquis, but switching to a different anticoagulant is reasonable to see if your symptoms improve. I’m also having extreme joint pain from taking Eliquis. The pain is extreme enough that it wakes me up at night. After seeing several comments about this, and my own continuing pain, I’m lodging the adverse reaction with the FDA. Perhaps this reaction may not be so rare. I had been on warfarin 21 years. Not perfect but I have survived (am 57). Changed to Eliquis 3 months ago and have lost quality of life. Sore all over, arthritis in knees making stairs difficult when I never had a problem before . Throwing up every second day. Sticky gunk on chest all the time, continual cough, numb leg and arm left side. Terrible sharp pains in head. Little pin holes popping up bleeding on my nose first and then arms. Am now working my way back onto warfarin. Feel awful, wish I had never changed. Those are all very unusual side effects of Eliquis, I hope things improve on warfarin. Thank you for your comment! Very interesting and informative article, Dr. Guichard. My father was an MD/GP and so I read and study many many medical, nutritional, and general health articles and publications. I really liked your style and delivery here, balancing nicely between difficult but necessary medical jargon, and easier to understand layman’s terms. This is my very first reading on anticoagulants, and I have gained a reasonable grasp of the subject through your very succinct, yet enlightening article. We work very hard to provide accurate and authoritative content that is hopefully easy to understand. Thank you very much for your kind words! My question: if you are 90 years old (or older), got weak kidneys, and have been taken Waran for some years (since January 2014), with quite harsh side effects (due to the Waran) like losing hair, thinner skin (accompanied by bruises), as other symptoms, and in addition to that an instable food interaction, that means very high or low effects on the RNA-rate much due to a daily consumption of garlic (much garlic, which has shown to have a very good hart effect, something I would like to recommend others with weak hart), well here is eventually the question: according to description above, is Eliquis preferable to Waran? Yes, one could consider Eliquis preferable to warfarin. In your case, no international normalized ratio (INR) monitoring required and no meal requirements or food restrictions (food does not affect the bioavailability of Eliquis) would be a major advantage. However, for the reduction in the risk of stroke/systemic embolism in nonvalvular atrial fibrillation (NVAF), Eliquis needs a dosage adjustment when at least 2 of the following are present: a) age ≥80 years, b) body weight ≤60 kg, or c) serum creatinine ≥1.5 mg/dL. Thank you very much for your question! My husband is 87 and blood tests are being done to see if his kidney and liver functions will support a dosage of Eliquis. After wearing a heart monitor for 30 days, he was told his risk of stroke due to afib is 3%. Should he even be on an anticoagulant? He takes an aspirin per day, already has thin skin, easy bruising and bleeding with a slight scratch. He also drinks 2 glasses of wine per day. It sounds like your husband’s CHA2DS2-VASc Score is 3, putting him at an adjusted stroke rate of 3.2% per year. Our professional society guidelines and clinical experience would recommend anticoagulation, preferably with one of the novel oral anticoagulants (NOACs) over warfarin. This is a general recommendation, each patient and their specific circumstances are different. All of this should be discussed with your physician, then you and your husband can make an informed decision. Thank you very much for your question! Yes, as you suggested, there are a lot of variables when deciding which anticoagulant is best for you. Additionally, many of these variables are different from patient to patient. This is why it is critically important to have a thoughtful and informed conversation with your physician when an anticoagulant is needed, then make the decision that is best for you or your family member. I have 48 years with no blood problem history. My dad had thick blood and had to take Sintrom for the more than 20 years. I made a long segmented travel (Montreal – Geneva – Beirut – Dubai) . Doctors identified a severe superficial thrombophlebitis after this travel knowing that my blood thickness is normal. They put on Eliquis for 3 months. No, you should not have to take a blood thinner for the rest of your life. You have two positive factors: #1 – your blood clot was superficial (not deep) and #2 – your blood clot was provoked by a reversible risk factor (prolonged air travel). In your case, first episode deep vein thrombosis (even though yours was superficial, not deep) with a major reversible risk factor should be treated for 3 months and then should stop after 3 months of therapy. However, the ultimate decision can be determined between you and your treating physician. Thank you very much for your question! First may I say thank you for this article. Well written and very informative. I had a mild stroke in August and a prolonged episode of a.flutter in late September. Ablation in mid October. They were able to put me in a.fib while on the table but I did rapidly convert. The decision for me of course is will I stay on Eliquis. I am a 52 yo male with well controlled BP. Any recent studies about the the risk of a.fib in post ablation patients such as myself? Ablation procedures can be very effective, atrial flutter ablations even more so than atrial fibrillation (AFib) ablations. AFib ablations have several variables when it comes to effectiveness, but generally, in a patient with few comorbidities and favorable ablation substrate the success can be 70% or greater. However, it may take 1-3 AFib ablation procedures in total over the course of several months to years. You should remain on anticoagulation if required, because your stroke risk does not change, but hopefully your heart will remain in a normal rhythm. Thank you for your question! i am 82 years old, in good health and very active. i had my aortic valve replaced in 2010 and developed a-fib before i was released.. the hospital restored normal rhythm but the a-fib reoccured one year later & again in 2015.. have been taking eloquist & multq 400.. now my insuranceco says no to the eloquis because the FDA wont approve of this medication for a-fib if you have an artifical heart valve.. i thought because i had a cow valve & not a mechanical valve that it should be approved. i note in your article”eliquis vs warfain” you indicate that not to take eliquis if you have a mechanical valve.. have you changed your position or do you still think its ok for me to continue the eliquis.. i hate the thought of gooing to warfain & having to watch my diet & the ongoing blood test.. also if i had the ablation would that eliminate the need for the blood thinner?? The novel oral anticoagulants (dabigatran, rivaroxaban, apixaban, and edoxaban) are not recommended for patients with AFib and rheumatic mitral stenosis, a mechanical or bioprosthetic heart valve, or mitral valve repair based on the 2014 AHA/ACC/HRS guideline for the management of patients with AFib (https://www.ncbi.nlm.nih.gov/pubmed/24685669). However, more progressive recommendations state that “nonvalvular AFib” refers to AFib that occurs in the absence of mechanical heart valves or moderate-to-severe mitral stenosis (usually from rheumatic disease) and suggest that other valvular disorders were commonly included in the NOAC trials and can be appropriately treated with these medications. AFib ablations are only a therapeutic tool for patients with symptomatic AFib and do not eliminate the need for a blood thinner. My husband had a spinal fusion surgery. Does Eliquis then interfere with his mobility and legs? No, it should not. After recovery from surgery, and when the surgeon allows resuming anticoagulation, Eliquis can be continued under the guidance of your prescribing physician. Dr. Guichard, I am looking for your scholarly article hopefully done on this subject. Please help if available. I need that reference. re; Eliquis vs Warfarin. I have not published this information as a review article. There are multiple references to support the information presented, which are hyperlinked within the blog post. Thank you very much for your kind words and interest! Then in 2015 I had surgery for small intestine blockage +resection and during the surgery developed A-Fib. I was put on Warfarin in the hospital (5mg) and had bleeding which delayed discharge for 4 days. Then I was put on Warfarin when I was discharged which I took until Feb. 2016 when I had another bleed for 24 hrs. from the bladder again. I was constantly having to have my INR checked and the range was set at 1.5 -2 and took almost weekly changes. After the last bleed I stopped taking Warfarin. However, my cardiologist says my risk for another stroke is 14% and wants to put me on Eliquis. Needless to say I am not anxious to take another blood thinner. I am 81 yrs. old and have multiple medical problems. I realize this is a much longer question than the others, but I want to know more about the risks of trying another blood thinner. If this is too long to include here I understand. There is no easy answer here, I am sure you already know and understand that fact. With regards to your history, it is likely that the stroke you experienced in 2010 was probably due to atrial fibrillation (AFib). We now know that a large percentage of strokes from an unknown cause, are later to be determined to be from AFib. The fact that you had detected AFib in 2015 after your surgery, increases my suspicion even more, but that is in the past now. With regards to your anticoagulation status now and in the future, I agree with your physician, your future stroke risk is quite high. Ultimately, the decision to take a blood thinner is up to you. Eliquis has been shown to be a safe and effective blood thinner, with an acceptable bleeding and side effect profile. Eliquis may be worth a try under the guidance and supervision of your physician. Bleeding can be a little problem, but a stroke can be a big problem. Like I said before, there are no easy answers here, but it sounds like you are educated about the pros and cons and can make a well-informed decision. Thank you very much for your question! Thank you for your informative answer. I have now agreed to take Eliquis and will start it tomorrow although I am still a little anxious about taking another blood thinner. My mother is on Coumadin as a preventative. She has been diagnosed with congestive heart failure due to a change in heart shape from amyloidosis. This then changed how her valves line up. She is also on blood pressure and cholesterol medicine. I have heard that Coumadin impacts memory. Is that true and if so, how do the others stack up regarding memory loss? That is not true, Coumadin (warfarin) does not impact memory. The NOACs also do not impact memory. However, we have not been using NOACs for many years like we have with warfarin so we cannot say for sure. The bottom-line is that anticoagulation with warfarin, or the NOACs, should not alter memory. Eliquis is 75% more than Coumadin (warfarin). However it has been noted that Eliquis is the ‘best for atrial fibrillation and preventing strokes’ and it is also one of the most expensive medicines I’ve ever seen. Are there generic medicines in the works? How long before those are seen? Will the cost be comparable to Coumadin or a few dollars less than Eliquis? When one is on a limited budget with Social Security, retired, and having to continue to pay for medicines and doctors that only increase and do not decrease it is hard to decide which part to save, the heart…the mind…the eyes..the hips…etc. Anything that can be done? or any advice? Thank you. Have a great day!! You have legitimate questions and concerns, that many older Americans have, but at this time there are no easy answers. It will be some time before any of the NOACs become generic, but when they do it will be great for the many patients with AFib requiring anticoagulation. I think it is important to remember that Coumadin (warfarin) was and continues to be a great medication for it’s intended purpose. In fact, there are still many indications for anticoagulation that only warfarin is recommended. If you are having major financial issues, going with warfarin is a reasonable choice. Close monitoring of the therapeutic effect of warfarin with frequent INR checks can keep you safe from bleeding and protected from strokes. my aortic valve has been replaced with a cow valve and following surgery developed a-fib which has occurred twice in the six years.. i have been on multaq 400 and originally pradaxa ans now eliquis since then.. now plan D medicare thru United Health Care has deneyed coverage of the eliquis.. the basis of their decision is “eliquis is not approved for a-fib in a patient with an artificial heart valve”.. should not that ruling apply only to “‘mechanical”valves and how can i convince them othwise?? I understand how this could be confusing and frustrating for you. 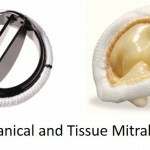 However, the novel oral anticoagulants (dabigatran, rivaroxaban, apixaban, and edoxaban) are not recommended for patients with atrial fibrillation and rheumatic mitral stenosis, a mechanical or bioprosthetic heart valve, or mitral valve repair. Hi, I have one functioning kidney which just had a artery deviation (a tear in the artery) resulting in a thrombosis( artery to the kidney) resulting in permanent damage to a small section. my current creatinine level ranges from 1.65 – 1.8. I am 37 yoa with no drug use and no history of drug use. It is believed that the kidney that does not work any more suffered the same injury potentially 30 years ago. I don’t use tobacco products either. Yes, that dosing is appropriate. The reduced dosing, Eliquis 2.5 mg twice daily, is the recommended dose for patients with at least 2 of the following: age ≥80 years, body weight ≤60 kg, serum creatinine ≥1.5 mg/dL. My creatinine has been in the 1.63 to 1.80 (mainly 1.63). My cardiovascular Dr. Is worried that eliquis will not work the same as Coumadin with a dissection in the artery to the kidney which has a thrombosis. Any advice? Will eliquis work? My Dr. Is Concerned that there is no studies on this. My PCP pushed eliquis and I switched from Coumadin. Now I’m in a strange spot where I am being told that I would have to spend a week in the hospital on a Heparin drip to switch back to Coumadin because of my kidney disease. Once again anything you have would help. Yes, your cardiologist is correct, there is no indication for NOACs in treating renal artery thrombosis. There is no data, no FDA approval, etc. This would be an “off-label” use for Eliquis. However, in medicine, we use medications off-label all the time – you just need to understand that what you are doing has not been tested. I would tend to agree with your cardiologist about going back on warfarin, but the real question is, do you need to remain on warfarin long-term (i.e. forever) or has your acute event now passed? That is a question that you need to discuss with your physician. Also, you may not have to be in the hospital for a week, warfarin levels can sometimes get to therapeutic levels in 3-5 days. I have been prescribed Eliquis, but am concerned about the possibility of needing emergency surgery or to stop significant bleeding should it occur in an accident, etc, without the ability quickly to reverse the effects of Eliquis. You mention clinical trials of Andexanet alpha as showing effectiveness in reversing these effects. That’s great but my question is: what if someone were to need to reverse the effects of Eliquis in such a situation tomorrow, or next week or month. Would the attending physician be in a position to use Andexanet? Or the other means you mention, 4F-PCC? Or are these still at a stage of development where physicians cannot yet avail themselves of them? If they are not yet available, what then? I’d be very grateful for an answer. Thanks in advance. I understand your concerns, but I would not be overly concerned about the need to emergently reverse the anticoagulant effects of the NOACs – Eliquis in your case. Currently, the four-factor prothrombin complex concentrate (4F-PCC or Kcentra) can be used in emergent situations. There are other options being developed, these should be approved and readily available in the coming months/years. If you do have strong feelings regarding a “reversible” anticoagulant, you can always switch to Pradaxa (dabigatran) which uses Praxbind (idarucizumab) as the only FDA-approved specific reversal agent for a NOAC available. I have had heart arythmia which developed into Afib. At this point I was put on Eliquis (Apixaban). However, a cardio reversion in April 2016 was successful and I remain in sinus rhythm (most of the time as far as I am aware). A follow up cardio CT scan revealed a significant stenosis (nearly 90%) in the LAD and an MRI stress test determined microinfarctions (<1g) in the distal LAD and distal RCA territories. My GP is now wants to take me off the Eliquis and substitute low dose asprin(75mg/day). I am somewhat apprehensive about this as I feel that I could revert into Afib at any time and, in any event, Eliquis must offer less risk than Asprin with respect to potential stroke? Yes, I understand your concern. As physicians we use a calculation, called The CHA2DS2-VASc Score for Atrial Fibrillation Stroke Risk, to guide our decision about long-term anticoagulation for AFib. In general: 0 = may not require anticoagulation; 1 = consider antiplatelet (aspirin 325mg everyday) or anticoagulation; 2 or greater = should otherwise be an anticoagulation candidate. Every patient is different, and this score is just a starting point for a thoughtful conversation. I am not sure what your score is, but your physician should be able to tell you, then discuss the pros and cons of anticoagulation. Also, your coronary imaging is somewhat concerning and that should be addressed as well. Without knowing your complete medical history, I would say that anticoagulation with Eliquis (for your AFib) and starting aspirin 81mg every day (for your presumed coronary artery disease) could be beneficial. I had blood clots in my leg, and my doctor started me on Warfarin. 6 months later, my ultrasound showed that the condition was resolved. My doctor wants to keep me on blood thinners, but they make me a little light-headed. I switched to Eliquis, which make me even more tipsy, (like 8oz. of beer, continuously) and my arm muscles feel weaker. My question is: Do you think I could quit the blood thinners for a year or two, then take them again for 5 or 6 months to clear any clots that may have been forming? If not, is there a blood thinner that will make me feel “normal” while using it? I’ve stopped taking Eliquis, and am going to switch back to Warfarin. Thank You! Anticoagulants should stop after 3 months of therapy in patients with an acute, proximal deep venous thrombosis (DVT) provoked by surgery rather than shorter or longer treatment courses. Anticoagulants should also be stopped after 3 months in patients with a proximal DVT provoked by a nonsurgical transient risk factor over shorter or longer courses. Anticoagulation should be given for 3 months in patients with a first unprovoked DVT and a high risk of bleeding, but should be extended without a scheduled stop date in patients with a low or moderate risk of bleeding. I am not sure which category your particular case falls into, but I would discuss this with your physician. Patients usually tolerate Eliquis very well, but in your case, warfarin should be just fine. I was diagnosed with Superior Mesenteric Vein Thrombosis in 2014, they could not find the cause of the blood clot so they have put me on warfarin for life. I have to take 11mg a day to stay in theraputic range and have experienced a lot of bloating since taking warfarin. Would Eliquis be a better choice for me and do you agree with blood thinners for life, thank you. Eliquis is technically not approved for the treatment of superior mesenteric vein thrombosis, so this would be an off-label use, I would discuss this with your physician. And, yes, I do agree with blood thinners for life. First of all thank you for so many wonderfully detailed responses. My 53 year old husband had a DVT in the popliteal vein just above the knee and ‘multiple’ small PE’s in both lungs. He is positive for heterozygous Factor V Leiden, and has taken a single baby aspirin daily for the last 20 or so years. In the last month he traveled much more than normal ( a cross country four day drive the first of December and two cross country flights in late December and early January ) so it is thought that these precipitated the conditions. He had a Lovenox shot in the hospital and was then prescribed Eliquis for 3 – 6 months. My question is this: We saw his PCP today who also said he can essentially go on or off Eliquis after the 6 month period based on if travel needs should arise again, but I have been reading and researching and have found many who state that Eliquis should not be stopped quickly or without tapering. In your professional experience can Eliquis be used in this manner, sort of like the former baby aspirin therapy ( which he incidentally has stopped while on the Eliquis) ? In general, repeatedly starting and stopping anticoagulants is not a good idea. I would recommend being on Eliquis lifelong. Factor V Leiden is a weak risk factor for developing venous blood clots, but a risk factor nonetheless, and he already had a DVT and PTE once. Eliquis is well-tolerated, and given his current situation, I think the benefits of continued anticoagulation outweigh the risks. Thank you for the kind words! I’ve had two DVT occurrences about 25 years ago, was on Warfarin for about 15 years, stopped using it (a bad decision) then had a PE about two years ago. Currently am back on Warfarin and also Plavix as I had some arterial leg problems last year and a stent. Aside from all of this I’m in good physical condition. The problem is I am having problems controlling my INR. Should I be considering (with a discussion with my physician of course) dropping the Warfarin and replacing it with Eliquis? Yes, Eliquis could be a better anticoagulant option for you. You will need anticoagulation lifelong, if no contraindications, given your history of recurrent DVTs and PTE. Eliquis is safe and effective when compared to warfarin for DVT/PTE, definitely worth a discussion with your physician. Is there anything else that he needs to be doing to break the clot up quicker? And should he be on limited mobility? The physician from the hospital said that most physical activities need to be discontinued for 6-12 months. Thank you very much for your time and help that you may provide. My mom 90 years old started taking coumadin 7.5mg because she was diagnosed with DVT of the right leg. She totally lost appetite, feels much weaker then before, and can not even think about eating the food. Is it possible to switch her on Eliquis? She also has heart valve aortic stenosis. Based on what you have described, Eliquis may be an option. You will need to discuss with your physician the possibility of Eliquis because there may be some contraindications that are unknown or dosage adjustments that are needed based on age, weight, and kidney function. I was diagnosed with Arrythmia in Sept 2016, although I am in sinus rhythm most of the time (65yo female). I have been on Warfarin and Verapamil (beta blocker). However,I broke my leg in January and was put on Clexane instead of Warfarin. I am seeing my Doctor tomorrow and my Cardiologist has advised I be started on Apixiban 5mg x2 daily. I have lost weight and feel my muscle tone and skin elasticity is much poorer. I wanted to take Organic Pumpkin Seed Protein Powder (water for health.com)to combat this would it be safe to take this with Apixiban ? It is unknown if pumpkin seed protein powder will interact with Eliquis. However, in general, it would be best to avoid all herbal supplements while taking prescription medications. There are no herbal supplements with clear evidence of benefit, although certain herbal supplements may have limited evidence of benefit. You can read more about herbal medications in cardiovascular medicine here: https://www.ncbi.nlm.nih.gov/pubmed/28254182. It sounds like Eliquis may be a good option for you, and you should discuss any and all herbal supplements with the physician who manages your prescription medications. Thank you very much for the kind words! I’m a 32 year old woman with hypothyroidism, atypical migraines, and a history of DVT and PE from pregnancy three years ago. I have no known clotting factors (I was tested for everything except APS). A year after my PE, I had pain in my leg and an ultrasound showed what may be a “continuous” spot of coagulation in my femoral vein, collateral veins, and the vein was almost totally occluded. I’m not sure if that is where the original clot came from, but I suspect it is. I’m on anticoagulants for life, but having a hard time with Coumadin. I am vegan and have bad acid reflux issues, I also avoid grains (they sometimes give me stomach aches), and having to limit my greens is tough! My INR has been wild the past year, going up from a Thai food dish, or too much sunlight, or green tea… Things I never thought I’d have to avoid. I’m considering switching to Eliquis – though there is no reversal agent, I’ve read that it causes less spontaneous bleeding overall, and that if you have an interracial hemorrhage on Coumadin you only have a 50/50 chance of survival, even when vitamin K is administered. Is this true? I’m hesitant, any advice you have would be so appreciated! From the information you have provided, it sounds like Eliquis may be a good option for you. Intracranial hemorrhage (ICH) can vary by size and location, both of which are important for prognostication. However, the majority of severe ICHs while also on an anticoagulant are indeed deadly. Warfarin does not have a true rapid reversal agent, vitamin K takes hours to days to work and fresh frozen plasma (FFP) is not an ideal for a number of reasons. Currently, the only anticoagulant that has an FDA-approved rapid reversal agent is Pradaxa (dabigatran) – which is Praxbind (idarucizumab). The other novel anticoagulants will in the near future have rapid reversal agents. I had 3 TIA’s from a carotid thrombus, that has since been stented. Blood work revealed I have Lupus Anticoagulant. My Neurologist and Hemotologist want me to start Coumadin after I finish 6 weeks of Plavix. There are many, many reasons I don’t want to take it. Is Eliquis an option for me? I completely understand your desire for a treatment option other than warfarin. Unfortunately, Eliquis is not FDA-approved for that indication. Narcotic pain medications should be fine with Eliquis, but as you mentioned, nonsteroidal anti-inflammatory drugs (NSAIDs) should be avoided. I am a 65 y.o. who has been taking Coumadin for 32 years for a Protein C deficiency, which was diagnosed subsequent to a DVT/PE. Have had very few venous clotting complications over the years. I have had a heart murmur many years and was finally diagnosed with HOCM in 2004 and subsequently developed Afib in 2009. A single cardioversion kept me in nsr until 2015 at which time I had an ablation (pulmonary vein isolation). Went into flutter in early 2017 which responded to cardioversion. I am scheduled for a repeat ablation in May 2017. A recent CT scan revealed significant coronary calcification. I have come to understand this is a side effect of a Warfarin induced Vitamin K deficiency, which blocks activation of the matrix GLA protein, an inhibitor of vascular calcification. I found that the Rotterdam Study also concluded that Vitamin K2 was important for coronary heart disease prevention. As such, I would like to switch to an anticoagulant that is not a vitamin K antagonist and wanted to know what you thought about my transitioning to Eliquis, given my history of HOCM, Protein C deficiency and Afib/flutter. If affirmative, would you recommend waiting until after the ablation to transition to Eliquis. Thank you so much for your advice. Without knowing additional details of your medical history, from what you describe, you need lifelong anticoagulation for DVT/PTE and AFib/AFlutter. Eliquis would be a reasonable option for you for those indications, and I would discuss this further with your physician. Starting the Eliquis now or waiting until after your ablation doesn’t really matter and I would leave this to the discretion of your physician. Additionally, for your presumed coronary artery disease based on your significant coronary artery calcification score you should be on aspirin 81mg everyday and high-intensity statin therapy. Dear Dr Guichard. A week ago I was diagnosed with Paroxysmal atrial fibrillation and prescribed 200mg Amiodarone and twice 5mg Eliquis. Although I feel healthwise fine for a 77year old female, my medical records show benign hypertensive heart disease w/o congestive heart failure, peripheral artery disease, right iliac artery stenosis, and carotid stenosis (asymptomatic, bilateral). I am very much afraid of taking the prescribed medications and have postponed their intake since days. The side effects seem to be so great… Please help. Thank you for your expert opinion! Your CHA₂DS₂-VASc Score for AFib stroke risk is 5 points, which is a stroke risk of 7.2% per year. A score 2 or greater is moderate-to-high risk (in your case, a score of 5 is very high risk) and should be an anticoagulation. You should absolutely take the Eliquis 5mg twice a day, if that was prescribed by your physician. The amiodarone is less important and mainly centered around the management of your AFib, either a “rhythm-control” strategy or “rate-control” strategy. Amiodarone implies a rhythm-control strategy, but a rate-control strategy (i.e. not necessarily using amiodarone) given your age and your underlying medical conditions would be perfectly acceptable in your case. I would discuss the use of amiodarone, or an alternative, with your physician. There are online calculators that we use to determine a CHA2DS2-VASc Score, you can find them using any internet search engine. A CHA₂DS₂-VASc Score of 5 is a stroke risk of ~7.2% per year, meaning a ~7.2% chance of having a stroke in 1 year without anticoagulation, compared to ~1.3% per year with Eliquis based on the ARISTOTLE clinical trial. This is a fairly significant difference, in favor of anticoagulation, which is why we recommend anticoagulation for people in your situation. In the future, andexanet alfa and four-factor prothrombin complex concentrate (4F-PCC or Kcentra) may have potential for reversing the bleeding effects of Eliquis in cases of acute bleeding or prior to emergency surgery. If bleeding is a major issue for you, then Pradaxa is the only NOAC with an FDA-approved antidote. I had a bone marrow transplant in July 2015. Due to Sepsis 5 months before the transplant I laid in bed for a few months and got a clot in my leg. I’ve been on Eliquis for 18 months. In October 2016′ we tried to get me off it, but I got another clot within in a week so I’m back on the full dose. I have a lot of bruising on my hands and arms in the last six months. Now we’re talking about cutting my dose to 5 MG a day instead of 10. What do you think? Thanks. That is a tough question. Lowering the dose of Eliquis may reduce your bruising, however, it may not protect you from blood clots unless you meet criteria for the lower dose of Eliquis. The reduced dosing, Eliquis 2.5 mg twice daily, is the recommended dose for patients with at least 2 of the following: age ≥80 years, body weight ≤60 kg, serum creatinine ≥1.5 mg/dL. You could try switching to a different NOAC (i.e. Pradaxa (dabigatran) or Xarelto (rivaroxaban)) or warfarin, to see if your bruising might improve on a different anticoagulant. I had a blood clot the entire length of my leg in my saphenous vein and also have prothrombin 20210 mutation. I have been on warfarin therapy for over 7 years since the clot. I monitor my levels with an at-home device and call my results in to my doctor to adjust dosage. Would Eliquis be an alternative to use with this mutation? Thanks. Yes, Eliquis could be a good option for you. In the AMPLIFY Trial (https://www.ncbi.nlm.nih.gov/pubmed/23808982), the only exclusion criteria were contraindications for enoxaparin or warfarin, active bleeding or high risk for serious bleeding, short life expectancy, uncontrolled high blood pressure, and significantly impaired kidney or liver function. Meaning, people with known or unknown gene mutations were included in the trial. You should discuss further with your physician and make an informed decision together. Air travel related dvt 2015 six weeks injections with clexane. Should it be ok to change? Without knowing any additional medical history, it appears that Eliquis could be a good option for you. If your physician made the recommendation, then it would be worth a try if you are unhappy with your current warfarin therapy. I got diagnosed with paroxysmal afib in November 2016, my heart rate was 170 that day in November 2016 and I was admitted into the hospital, they got me back into sinus rhythm… I was released 2 days later… They prescribed me plaice and atenolol..that didn’t work and I had another afib episode the next month in December 2016 and was hospitalized again this time for 3 days.. Once again they got me back into sinus rhythm.. They released me and changed my meds to amiodarone and eliquis and 81 mg aspirin.. My EP and cardiologist just recently took me off amiodarone and the aspirin and I am now on multaq and eliquis…I am a 38 year old white male, 5’9 inches tall, weigh 180 pounds.. Do you have any thoughts on the information I have given you? Eliquis seems appropriate in your situation, based on the information you provided. With regards to the amiodarone and Multaq (dronedarone), there are several antiarrhythmic agents that we use to keep people in a normal rhythm. In relatively normal, healthy people we tend not to use amiodarone or Multaq – in fact, we rarely use Multaq at all. Some of the more common antiarrhythmic agents used for AFib in people with structurally normal hearts are flecainide, propafenone, sotalol, and dofetilide. However, in your situation with recurrent symptomatic AFib while on an antiarrhythmic agent, an AFib ablation procedure would be very reasonable. My EP and cardiologist wanna see how I do on the multaq before going ahead with an ablation… My EP told me he wanted to see if my afib acts up on the multaq in between now and my next appointment with him in a couple of months…but I’m not really trying to see if it will act up because it put me in the hospital twice and both were scary episodes.. He didn’t give me a heart monitor to wear either in between now and my next appointment either… And my EP kinda worried me when he told me he had to read to tell me how to switch from amiodarone to multaq safely.. That made me a little nervous because I mean hell I coulda read that myself.. I was on amiodarone for 4 months.. December 2016 to April 12th 2017, I know I needed to come off of it though because of the high toxicity levels of amiodarone but I also read multaq is only half as effective as amiodarone is that true? It sounds like your electrophysiologist has a plan. There are differing practice patterns around the country with regards to AFib management, we generally don’t use Multaq. I would agree that if you continue to have episodes of AFib, then an AFib ablation procedure would be reasonable. You ask very good questions. You should be very comfortable with the new blood thinners, as a group, they have been proven to be very effective anticoagulants. To date, there is no definitive way to monitor their medication levels or blood “thinness.” If you take each of the medication as prescribed, then you should be adequately anticoagulated. If I had to choose a lifelong anticoagulant, from the currently available options, I would choose Eliquis for the reasons outlined and discussed in my post. Is Elquis ok for Factor V Leiden. I had a major ‘DVT’ as well as other clots. I have been on Warfarin for 15 yrs. At 10mg a day. I was off Warfarin briefly and had a clot in my carotid artery. Is Eliguis approved for Factor V Leiden? In the AMPLIFY Trial (https://www.ncbi.nlm.nih.gov/pubmed/23808982), the only exclusion criteria were contraindications for enoxaparin or warfarin, active bleeding or high risk for serious bleeding, short life expectancy, uncontrolled high blood pressure, and significantly impaired kidney or liver function. Meaning, people with known or unknown gene mutations were included in the trial. Eliquis could be a good option, but you should discuss further with your physician and make an informed decision together. What do people do if they can’t afford eliquis. They told me I woul have to pay $570. For 3 months supply. On Medicare and part d silverscript. So Dr. Prescribed warfarin? Yes, cost can be a real problem. There is a Bristol-Myers Squibb Patient Assistance Program that might be able to help, you can contact 1-800-736-0003 or visit http://www.bmspaf.org for more information. Additionally, your prescribing physician might be able to provide information about other assistance programs. I had a blood clot in my leg for no apparent reason. Then 5 years later, while pregnant I got another clot in my leg, after delivery I got a clot in each lung. I was treated for 6 months and then taken off blood thinners. It was 30 years later I got a clot in each lung again. No apparent reason. My doctor had my blood tested with the results showing there was no reason why I was clotting. I was put on Coumadin for life. I have been on Coumadin for 14 years. Because of the food restrictions / testing. I have been looking into changing to Eliquis. I take Metoprolol for a rapid heart beat. Are there any side effects by switching from one blood thinner to another. I have had no side effects on Coumadin. With Coumadin your levels can change from week to week, how do you know when taking Eliquis that the dose you take is correct. There are no food restrictions on Eliquis, is there any alcohol restrictions? Is there any side effects taking cholesterol medicine, currently taking cholesterol medicine on Coumadin I break out with red spots. There are no side effects from switching from one blood thinner to another. Currently, there is no available test that accurately measures the exact levels of Eliquis in your blood. Eliquis is working properly if you are taking the medication as prescribed. There are no alcohol restrictions on Eliquis, however, you should only drink a mild-to-moderate amount of alcohol for heart health (i.e. 1/3 to 1 ounces per day). There should not be any side effects with taking a cholesterol medication with Eliquis. Your potential allergic reaction may just be due to the cholesterol medication itself, independent of the blood thinner, and you should discuss that with your physician. Thank you very much for your great questions! After a chronic lacunar infarct was diagnosed in an MRI undergone by a 42 year old male recently for possible Meniere’s Disease, the patient was placed on pradaxa 150mg X2 a day both for future stroke prevention and in continued treatment for paroxysmal A-Fib (currently person is in normal rhythm, and stroke did not impact speaking/thinking areas of brain, thank God). Since taking pradaxa for almost a month, the patient has had GI issues, including hard stool, and a week ago, severe constipation resulting in ER visit for bowel impaction. Might Eliquis have a ‘cleaner’ side effect profile (less stomach/GI issues) and be more appropriate in this case? GI issues are a well-known side effect of Pradaxa, and patients are frequently switched to a different anticoagulant. Any anticoagulant would be appropriate, but Eliquis is usually well tolerated and has minimal side effects. Hello Dr, I had two pulmonary embolisms in April 2015. Currently I am 45 years old. I had zero symptoms until they happened 4 days apart. I spent one night in the hospital and they started me on Eliquis. The hospital Dr said either one between Eliquis and Xarelto. I didn’t know my current PCP then. I had no other signs of clots or DVT. I have Factor V. I am also a pilot for a major airline. I have been flying for over 20 years and this is the first time I had PEs. This week I have switched over to Xarelto. Due to its once per day dosage. I would like to get off these meds all together. Can aspirin work as well? I don’t drink any alcohol. My current PCP says I need to be on a blood thinner for life because of my job. He also prefers Xarelto with its once a day dosage. A co worker with the same gene takes aspirin only. His hematologist says that’s fine. My hematologist says it isn’t and to remain on blood thinners. Whats your opinion? Recurrent pulmonary embolism, especially with an underlying hypercoagulable disorder, means that you need to remain on lifelong anticoagulation. Any NOAC would be appropriate for you and given your job demands, the once a day NOAC (e.g. Xarelto or Savaysa), should be just fine for you. I had my first baby via c-section three months ago at 34 years old. Two weeks after my delivery I developed several clots in my right lung. I’m currently taking Eliquis for the last three months. I have experienced lightheadedness and moderate joint pain while taking this “blood thinner”. The emergency room doctor told me I should possibly be on this medication for 6 months, the doctor in the thrombosis clinic said three months. How long would you suggest taking this medication? How will I know the clots are completely gone? What test or scans should I request after treatment? What are the chances of reoccurrence, since my blood clots developed after a c-section (no previous health concerns)? The duration of the anticoagulant would depend on your work-up at the time of your blood clot. There are important factors that determine the duration (i.e. provoked versus unprovoked, any identified clotting disorders that you may have, etc.). If you are followed by a specialist in this area, who knows your case, I would defer to their judgment. After treatment for a certain duration, usually 3 months, the blood clots should be resolved. In most cases, repeat imaging is not required. Most women do not have blood clots after pregnancy, so there was something about your case either provoked or unprovoked that caused you to have a blood clot. If your risk of blood clots in the future depends on the underlying circumstances of your initial blood clots, and the physician who knows your case should be able to give you an idea about the risk. My 22 year old son was hit by a vehicle while walking from lab class at school. He developed a blood clot in his left leg (the leg that was hit by the car) and it broke off and traveled to his lung. He was on Xarelto for 3 months and there was no change and he felt awful on this medicine test showed another small clot had formed. My son talked to his Dr. about trying another blood thinner so he was given Eliquis. He felt better after being on this medicine for a month and tests showed the original blood clot in his leg and lung had disappeared. However, when He went for another test last week the small one that had recently developed is still there and has grown. The Dr. wants him to try Coumadin now and I am tore to pieces over this. He has no history of blood clots and tests were done to prove that just to be sure. Since lawyers are involved. Please tell me what side effects he will have if any taking three types of blood thinner medicines. What does he need to watch for? Can he still workout/run? Will this harm his heart? Will he have any long term effects? Recurrent blood clots while on a blood thinner (e.g. Xarelto, Eliquis) would be concerning. It sounds like warfarin would be the next logical step and increasing his therapeutic international normalized ratio (INR) levels above the usual standard of 2.0-3.0. Blood thinners are usually well-tolerated and the most important side effects are bleeding, of course. As far as activity and long term use, these would be questions to ask the physician prescribing the medications as he/she would know the details about his particular case. Thank You! I truly appreciate your quick response. 82yr male c bilat PE and one thrombus found just above old ankle sprain. Renal and hepatic numbers that would be the envy of men half his age, no smoker, mild hypertension well-controlled c first-level meds. In fib-flutter in ER, now 1st deg HB c occasional PVCs vs aberrant conduction. Neg for MI, atrial thrombus, and occult malignancy. Eliquis waaaay too expensive, had coupon for one free month, 5mg bid. 1) How long is anticoagulation needed? 2) Why not warfarin c home POC INR checks? 3) Compare other NOACs for side effects, cost, ease of use? 4) Do you get any sponsorship from any manufacturer of NOACs? So, it sounds like you have bilateral PTEs, a DVT, and AFib with no obvious bleeding issues. 1. You will need lifelong anticoagulation. 2. Warfarin would be a reasonable anticoagulant. However, home INR machines can be very expensive and sometimes reliability can be an issue. Coumadin Clinics would be the alternative, if convenient for you. 3. All the NOACs cost about the same, depending on your insurance, and side effects are usually minimal (there is a higher frequency of GI upset with Pradaxa). Regarding ease of use, Xarelto and Savaysa are once a day medications, which may be easier than the twice a day medications (i.e. Pradaxa and Eliquis). 4. I have no disclosures or conflicts of interest. Thank you for the excellent questions! Dear Doctor, I have read your article and answers to so many questions, but I am unfamiliar with so many medical expressions and abbreviations.. What I want to ask you: I’m 81 years old, and after a visit to the cardiologist (I felt very tired) I had an electrocardiogram, which showed very low line, so she told me I had to get a pacemaker immediately, put me in touch with a surgeon and the same evening I was operated on. This was 3 years ago. I have been taking Eliquis 2,5 mg since. I’m controlled every 6 months by a hematologist as well as by the surgeon. Nearly all the last schoolyear (I was teaching in my daughter’s and my language school) I’ve been very tired and can only walk 30 metres before I have to sit down. I had my lungs checked and they seem to work fine. It’s true that I had episodes years ago already when this happened to me, but not as badly as now. I’m a bit depressed, as I see that I can’t do many things any more, and am condamned to sitting still instead of moving around (as I get out of breath) and that’s why I would like to ask you if you have got an idea what the cause for this extreme tiredness could be. I am sorry to hear that you are so symptomatic and unable to do much activity. If I had to guess, based on your age and demographics, heart failure with preserved ejection fraction (HFpEF) could be a possible explanation for your symptoms. I think a few important things to do initially would be to 1) evaluate your basic endocrine functions, 2) evaluate your pacemaker to make sure it is working properly and determine your underlying heart rate and rhythm, and 3) evaluate you for coronary artery disease (i.e. heart blockages). I think it would be reasonable, based on your current symptoms, to perform a stress test and an echocardiogram. These two tests would be excellent screening tools to evaluate the potential cause of your symptoms. If these two tests are within normal limits, then further evaluating your symptoms with a cardiopulmonary exercise test (CPET) and/or a right heart catheterization (RHC) with exercise would be helpful. Hopefully with the above results and information, the etiology of your shortness of breath and exercise intolerance could be determined. I’ll try to do what you tell me. July 3rd I’m seeing the surgeon (pacemaker) and tell him what you told me. Then little by little I’ll try the rest and tell you the outcome. My mother is 90 and suffers from PAF, unstabilized diabetes, hypertension and renal insufficiency stage 3. She has been on Warfarin for years but I am concerned about its calcification effect. Is Eliquis safe, considering her age and CKD, or can one assume that if she has been ok all these years, it is better for her to continue taking what her body is used to? Does Warfarin always cause calcification? I heard that Eliquis can cause heart failure, kidney problems, colon cancer and liver injury. The reduced dose Eliquis would be reasonable for your mother. However, I would not change any of her medications, unless there is a medical reason to do so. Warfarin rarely causes calcifications, it is generally a well-tolerated medication that has been around for decades. I have not heard of Eliquis causing heart failure, kidney problems, colon cancer, or liver injury. I am a 77-year old female who was diagnosed positive for factor V Leiden deficiency (homozygous) in 2008. I had previously had two incidences of DVT, one after a short time on the birth control pill in 1964 and one in l993 after a GYN recommended HRT. In 2003 I suffered a stroke and was placed on warfarin and a daily 80 mg aspirin. Recently my physician suggested I switch to Eliquis. I am also on Metoprolol, hydrochlorothiazide, levothyroxin, vitamin D and B12 (injections) and aspirin. Do you think I would benefit from switching from warfarin to Eliquis and should I discontinue aspirin if I do? Thank you. Yes, you could consider switching to Eliquis. However, you have been very stable on warfarin so the decision is up to you and your doctor depending on your tolerance of INR checks and the dietary restrictions with warfarin (some patients are not burdened by the limitations of warfarin). I would continue the aspirin 81mg everyday even if you switch to Eliquis. 51 years old. Have AFIB (about every 3-4 months now for short periods of time (under 8 hours each time)). CHADs score of 2 (diabetes and hypertension). Cardiologist suggesting Eliquis. I am very concerned about everything I read regarding the side effects of Eliquis (bleeding, joint pains, fatigue, hair loss, etc.). Currently taking 325mg aspirin daily while making decision as to whether I want to take Eliquis for the rest of my life and ensure these potential debilitating side effects. Does aspirin provide any protection or am I doomed to the result of the anticoagulant? Aspirin does not provide any protection for you at this point and you should strongly consider an anticoagulant. The choice of anticoagulant is up to you, but Eliquis would be a reasonable choice. Eliquis has minimal side effects despite what you read on the internet. I am 76 and have AFib. I have been on Warfarin several years and Metoprolol. I tolerated Warfarin, had no diet problems and no problems keeping a consistent INR around 2.5. I met yesterday with my cardiologist who strongly believes that Eliquis is much better for AFib and preventing strokes than Warfarin. My husband had a stroke and I fear that. It is the cost of Eliquis that is the reason I hesitate though I could afford it. The only factors for me on the CHAD scale are my age and AFib. Do you have a recommendation? My cardiologist said he would approve Warfarin but strongly recommends Eliquis. Thank you for your reply! I would recommend Eliquis, because it is superior, but individualization for patients is sometimes needed. If you have been very stable on warfarin and cost is an issue on a fixed income, then warfarin still might be the best anticoagulant for you. I don’t know the specifics of your financial situation, but the incremental benefit of Eliquis may not be worth the excessive cost of the medication. The most important thing is that you are on an anticoagulant and remain on one lifelong. I am sorry to hear about your current dilemma. Warfarin can be adjusted, based on INR levels, if you are clotting or bleeding – so that may help. However, without knowing all the specifics in your case, I would tend to agree with your Hematologist. I think one of the new anticoagulants might be worth a try, under the guidance and monitoring of one of your physicians. I need to be on blood thinners for the rest of my life, due to protein S deficiency and having a massive bilateral PE over 3 years ago that required Emergency Open Heart surgery to go in and physically remove the clots. I have been on warfarin since. My new doctor (since I recently moved states) wants me to switch from warfarin to Eliquis, but the 2 things that concern me is that 1) How does Eliquis affect someone long term? I imagine we do not know this because no one has taken it long enough to know? I am only 29 now, so if I have to take it 50 more years what will that do to my body? 2) There is no reversal agent for it like there is for warfarin with vitamin k.
What are your thoughts on these two topics? That is a good question, and we don’t know the longterm affects of Eliquis, however it will most likely be safe longterm. There will be reversal agents available for Eliquis in the near future, so that should not be a concern. In your situation, Eliquis would be a good option for you. However, if you are stable on warfarin and have no reason to change, then staying on warfarin would be reasonable. I am a 70 year old female in good health. I had an incident of afib in the doctor’s office (150) and returned to normal heart rate shortly thereafter. The cardiologist has recommended Eloquis, saying I have a score of 2. I am reluctant to go on a blood thinner. Eloquis is more attractive than warfarin except for the $200+ co-pay each month. 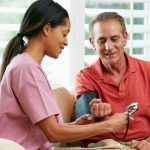 With only one documented episode of afib, do I really need to go on meds? I would say, yes, because your AFib was asymptomatic – so you don’t even know when you are in AFib. You could be in-and-out of AFib multiple times and not even realize it, the only way to know would be to wear a heart monitor for an extended period of time. If your CHA₂DS₂-VASc Score is 2 or greater, then anticoagulation would be recommended and Eliquis is a reasonable anticoagulant in your case. Being on Eliquis can be fine for you before surgery. You just stop the medication 2-3 days before your surgery, then resume it as soon as the orthopedic physicians believe you are safe from a bleeding standpoint. The NOACs are very good for these types of situations. Thank you for informative article. I had a DVT in my left leg about 7 years ago. After taking Warfarin for 6 years, I stopped on the advice of my doctor and went to a small dose aspirin daily. That was a big mistake since 6 months later I developed another massive DVT in the same leg and massive double saddle PEs. When I had the first DVT I had extreme pain, swelling, and warmth. With the second DVT I had no symptoms at all. It was only discovered by an ultrasound after I was diagnosed with the PE. I am now on Abixaban for life. My question is twofold. Since there are no blood draws with Apixaban as there are with Warfarin, how do I know it is working? Secondly, is it possible to have a DVT and not present symptoms? Thank you. Can Eliquis cause short term memory loss? I have not heard of that side effect for Eliquis. No, that does not apply to Eliquis or any of the new anticoagulants. Usually, we do not use anticoagulants long-term for superficial blood clots – so you should discuss that with your doctor. As far as switching to warfarin, there is absolutely no problem with that to see if it improves your symptoms. I forgot to mention besides the superfical I had a DVT in my leg and I developed AFib also , how much of a pain is it with foood and meds and antibiotics with Coumadin? I am 83 and have been on 4mg warfarin for 5 years as I have AF. I have blood tests every month. Am tempted to switch to Eliquis. If you have been stable on warfarin for years, then continuing with warfarin is very reasonable. However, if you have reasons to change (e.g. do not want monthly checks or dietary restrictions, etc.) then you can consider switching to Eliquis. I would discuss your thoughts with the physician who is managing your anticoagulation for AFib. Thank you very much for your question! My husband has had several bouts of afib. He is a 2 on the scale. He has had CFS for quite a long time, is 74 years old, and is taking verapamil for tachycardia. We are trying to answer the blood thinner question. I fear for his quality of life if he has bad side effects from a blood thinner——he already gets depressed from his present quality of life. Does Eliquis, coumadin, or nothing sound best to you in this situation? Without knowing all the specifics of his particular situation, I would think that Eliquis would be a reasonable choice. If he has issues with bleeding, then anticoagulation could be reevaluated at that time. Thank you for your comments on 25th Jan. I forgot to mention that I am having nosebleeds (5 in the last 3 months having to go to hospital on two occasions for three days with the usual compressed packs to stop the bleeding. Would I have the same problem on Eliquis? That is a difficult question to answer. However, I would suspect that the bleeding risk would be the same or slightly improved with Eliquis. This would be a good discussion to have with your primary care and ear, nose, and throat (ENT) physicians. I have had four pulmonary embolisms and five ablations for AFib. My AFib is now stable. I also have Leiden Factor V blood disorder. I am extremely fortunate to be alive. My cardiologist is moving slowly to take me off of Warfarin and put me on Eliquis or one of the other relatively new blood thinners because he is waiting for an FDA study to confirm the taking Eliquis is OK with a Factor V blood disorder. Yet, I am reading quite a few posts that indicate that many people are taking Eliquis or one of the other newer blood thinners now because of Factor V. Does anyone have any thoughts on this situation? Thanking you in advance for your assistance. Be well. Hello>>>>I am 72 years old. I had AFib for years. After five ablations it was finally cured. I have also had four pulmonary emboli. I feel extremely fortunate to be alive. I also have Factor V blood disorder. My cardiologist has been slow to take me off of Warfarin and put me on Eliquis or one of the other relatively new blood thinners. Yet, I have been reading about quite a few people who are taking Eliquis for Factor V. Please advise. Thanking you in advance for your assistance. Be well. Yes, there are patients with clotting disorders that take the newer blood thinners. However, this is after a thoughtful discussion with your physician about the risks and benefits. Warfarin is still an effective medication for prevention of blood clots. Yes, Eliquis should be effective and safe in your situation. I have had RA for 32 years. I take Enbrel and Methypred. I have had 2 major DVT’s. The first one in 2003 and the second one in 2014. I have been taking warfarin for 3 years. Can you take Eliquis with Enbrel? Do you take 2 pills a day or just one? What is the cost versus warfarin? There are no significant interactions between Eliquis and Enbrel. Eliquis is a twice a day medication. I am not sure about the cost, it depends on your insurance and the pharmacy where you fill the prescription. Enjoyed reading your responses. I had a DVT 3years ago. I now was in hospital with DVT in leg and PE in each lung. I am diagnosed with factor 2 mutation. I am on eliquis 5mg. One Dr. Said I should stay on 5mg for 1year. Another said after 6 months, go on eliquis 2.5mg for life. What do you recommend. With recurrent DVTs and a PTE, I would recommend Eliquis 5mg BID for life. As long as there are no contraindications to the medication or anticoagulation in your particular situation. Yes, that is correct, there is no direct evidence for the new blood thinners in patients with clotting disorders. If you have been stable on warfarin, then remaining on warfarin would be reasonable. In the future we may have more information. Thank you very much for your question! I am 72 and have chronic af and on warfarin for 8 years and well controlled with inr. I also have GERD with positive h pyloric. Would eliquist be safe? I so worry about the ads you see for severe bleeding in months following taking eliquist. Also is eliquist superior to Coumadin in respect to less cerebral hemorrhages? Yes, Eliquis is superior to warfarin with regards to major bleeding events. If your GERD and H. pylori infection have been adequately treated, then switching to Eliquis would be a very reasonable option for you. Thank you for your question! I had two episodes of atrial fibrillation last year and 2 cardioversions. I also have 4.1 estacia of my ascending aorta. I am 51 and on warfarin and metropolol. Which would be better given the aorta issue? Your aorta shouldn’t matter with either medication. It would be up to you and your personal preference if you wanted to switch from warfarin to Eliquis. You switch over to Eliquis when your INR gets to <2. I would not adjust the dose of Eliquis based on diltiazem, but that is up to your physician. My 30+ daughter has a mechanical mitral valve. She has been taking warfarin since she was 3 years old. Over recent years she has experienced increased debilitating bleeding during her menstrual cycle which her doctors have found difficult to control. She has recently been prescribed apixaban, but I notice that there seems to be general acceptance on the Web that apixaban should not be used with valves. Could you confirm whether that is still the case, and if so why? My 30+ daughter has a mechanical mitral valve. She has been taking warfarin since she was 3 years old. For several years now she has been experiencing excessive and debilitating bleeding during her menstrual cycle which her doctors seem unable to control effectively. She has recently been prescribed apixaban, but there seems to be general consensus on the Web that apixaban is not recommended for use in those with artificial valves. Can you confirm whether this is still the current thinking, and if so, why that is the case? Yes, the direct oral anticoagulants (DOACs) should not be used in patients with mechanical heart valves. There was a very good clinical study (https://www.ncbi.nlm.nih.gov/pubmed/23991661) investigating dabigatran (Pradaxa) versus warfarin in patients with mechanical heart valves and they found increased rates of thromboembolic and bleeding complications, as compared with warfarin, thus showing no benefit and an excess risk with DOACs. So, the DOACs should not be used with mechanical heart valves at this time. There are ongoing studies and trials with Eliquis and Xarelto, but no definitive clinical data to date. Thank you, this is really helpful. It’s alarming that she’s been prescribed something that is widely considered unsafe for her circumstances. But your reply gives us the information with which to question the prescription – for which I’m very grateful. Many thanks. Hi Dr. I am 56yo male and Two year ago had a DVT and saddle pulmonary embolism with multiple small clots in both my lungs. As per my doctor it was a border line situation which I survived narrowly. Doctors could not find any cause, Did all possible tests. I did not even travel or had any surgery before this. Happens suddenly. I am on Eliquis 10 MG since than. despite taking eliquis regularly I had another clot in my leg after 1 year and doctor added Asprin 80mg daily. Everything is ok since than. Now I feel tired in evening and feel like my energy level is low. I am very very active person. I feel perfect in morning. Is this due to Eliquis. I understand this is life long dose. Just curious will it start loosing its effect overtime as I am already taking maximum possible dose now. Low energy levels in the evening is not typical for Eliquis. Yes, you will need to be on Eliquis lifelong and it should not lose it’s effect over time. Thank you very much for your question! I have been on Eliquis for about three weeks. Prior to being on Warfarin since I had a “dry stroke” in my frontal lobe and prior to that, I had Pulmonary Emboli as well as 2 clots in my Left arm and a 4″ blockage in my left arm. I had the blood clots and the blockage when I was in my 30’s. I’m now 69 years old Then in 2004 I had the Pulmonary blood clots, and finally, in 2005 I had the stroke. To look at me I look Healthy, but I’ve had other health problems migraine since I was 11 years of age. Sometimes I would have 10-15 headaches a month because I would get so sick. I have severe Arthritis in the tops of my feet my back, etc. I still get up and stay on my feet, walking my dog short distances, etc. It’s hard because the longer I’m on my feet~the more painful it is. Which me to my question! Sorry, I have a lot of disjointed thought. The only thing I could take for my Arthritis that helped w/pain I could take only once in a while because I ‘ve been on warfarin since 2005 after the Stroke was Ibuprofen. Can I take IBUPROFEN A COUPLE OF TIMES A WEEK WHEN THE PAIN IN MY FEET GETS SEVEREWHILE I”M ON E LIQUIS? Yes, you can take ibuprofen a couple times a week while on Eliquis. Hello, I am a 29 year old male that has a history of DVT (first was in 2003, others in 2009 and 2011); cause is likely structural (veins). I have been on warfarin pretty consistently since 2012 and my therapy has been stable for years. My doctor is pushing heavily to switch to eliquis and I have severe reservations despite the supposed benefit of lower bleeding risk. My concerns include: Cost; nearly 500 dollars for a 1 month supply is abhorrent, especially since there is no generic variant available; many reviews from patients suggest a lot more side effects (nausea, GI distress, and chronic fatigue) none of which I have on warfarin, and three the medication to my view seems to do more than thin blood (affects heart rhythm). Since my warfarin is well managed I don’t see a good reason to switch. I’d like your opinion. Yes, I agree with you completely. For patients who have been stable on warfarin, there is no reason to switch to a DOAC unless bleeding or dietary/medication interactions are an issue. Additionally, the cost for DOACs are an issue, so if that it true for you then warfarin is still a reliable and excellent blood thinner when well managed. The DOACs are actually very well tolerated, despite what you read on the internet, and they are also approved for the treatment of DVT. I hope this helps! My mother is a snow bird in Fl, and had some health issues that required her to be in the hospital and not seeing her regular physician. She was on Coumadin for years and have had great success. She is prone to blood clots and even had a DVT as well. The new physicians have switched her to Eliquis. Again, these doctors have just meet her and I have tried to explain her history to them. I like Eliquis because she doesn’t need to monitor her INR but I am very worried about switching. She has been on it since March and when she left the hospital and was re-hospitalized shortly after, she had blood clots in her right arm where a port was placed. Why, if she’s on Eliquis? They didn’t seem to concerned maybe they were small, but I am sorry I am worried. Should I continue to push the question? If she was very stable on warfarin for years, then you can make the argument to just remain on warfarin and switching to Eliquis is not really necessary unless there are other reasons for switching to Eliquis. I agree with you that developing a blood clot on Eliquis is a little concerning, you need to make sure that she is being properly dosed (i.e. Eliquis 5mg twice a day versus 2.5mg twice a day). This would be a question to ask the physician that is managing her anticoagulation. I have been on Eliquis for 5 weeks now and I am getting severe cases of insomnia, extremely tired and tons of stomach cramps and gas. Is there a better option for me? I am thinking of switching to Warfarin but I take high blood pressure medicine as well (Olmesartan). I just want to sleep again and not be tired and feeling exhausted all day long. I feel the Eliquis has taken away who I am. That is an unusual side effect of Eliquis. You can try warfarin, but Xarelto (rivaroxaban) may be a better option for you. You should discuss all these concerns with your physician. I am so confused. I have been on warfarin for 8 yrs due to chronic AF and have switched to eliquist 3. Months ago. I have h pylori infection and GI wants to erraticate with antibiotics. Would it be better to be on warfarin or eliquis while being treated. When on warfarin INR can be monitored. Please help me. I am very anxious. Either warfarin or Eliquis would be fine. However, if you remain concerned, then you should discuss with your physician. My husband has been on Eliquis since it’s release for Afib. As a matter of fact he was part of the apixiban trial. Due to a procedure he was suppose to have yesterday (epidural injection) he went off Eliquis on Saturday. When the doctor checked his blood yesterday it was still too thin for her to proceed. She sent us home asking him to remain off today and return this afternoon. Blood tests showed his blood still too thin to proceed. What would cause this, considering he has now been off Eliquis for nearly 5 day’s? There is technically no blood test for Eliquis, or any of the new anticoagulants, so I would be curious what test they are basing this decision? The monitoring of the “levels” of Eliquis in the blood is not straightforward. I was put on epixaban 5mg. I took one tablet and had to revert to warfarin. The blood vessels in my eyes swelled and became ropey. I immediately went to my pharamacy and was advised to see a doctor immediately. My doctor told me to cease epixaban suggesting that some of the blood vessels appeared close to rupture. I was monitored for three days before my eyes returned to normal after three more days I restarted warfarin. That would be a very strange reaction to just a single dose of Eliquis. But, if you have been stable on warfarin previously then remaining on warfarin could be the right decision for you. That is good to hear, overall, Eliquis is a very well-tolerated medication. Thank you for sharing! I have afib and have a daily monitor. however, can no longer be read daily by my dr due to no analog transmission over phone lines and no cell service. Dr prescribed Eliquis but it is very expensive (with my insurance) Warfarin is much less expensive, but may not be as good as eliquis. What are questions I need to ask my dr re: which is best for me. Eliquis is better than warfarin, but much more expensive. Warfarin is an effective anticoagulant and reduces the risk of stroke in patients with AFib, so if cost is a major issue, then warfarin might be the right anticoagulant for you. Please tell me/us if it is OK to drink alcohol while taking Eliquis. I start on Eliquis tomorrow and I would like to know. Thanking you in advice for your response. You are the best!! Yes, moderate alcohol intake (1/3 to 1 ounces per day) is acceptable. So, the maximum alcohol intake per day would be 20 ounces of regular beer (which is about 5% alcohol) or 8 ounces of wine (which is about 12% alcohol) or 2.5 ounces of distilled spirits (which is about 40% alcohol). Thank you very much for your question! Dr. Guichard, I am an 87 year old practicing orthodontist who has been on warfarin for many years to protect against DVT’s. Recently read article about arterial calcification with warfarin use. This prompted questions to my cardiologist with the thought of switching to eliquis. He’s not opposed to switching but rejected calcification study. After reading your article in favor of eliquis use especially now that they have found an antagonist to it’s use I have decided to change. I would like to begin taking vit k2 for heart reasons. Would this be permissible with eliquis use? Yes, you switching to Eliquis is very reasonable. Vitamin supplementation is safe with Eliquis, however, vitamin or mineral supplementation is unlikely to provide any benefit in the absence of a documented vitamin or mineral deficiency. Thank you very much for your question! I am 72 years old female. Last October I was diagnosed with arterial fibrilation. I am on Eliquis 5 mg 2 pd and metaprolol since then. They gave electric shock but but no results. Have no high BP, no diabity, no visible problem. But with this medicine my knee immobility and pain ( I gave osteoarthrities fir 20 years) increased also hairs have grown thin and loosing lots of hair ( including eye brow hair) everyday. Shall I stop Eliquis for some time? Or ttry other medicine. Please advise . Those are unusual side effects of Eliquis. I do not recommend stopping an anticoagulant. You should discuss with your physician, and trying a different anticoagulant would be reasonable. Thanks doctor Jason. Which other anticoagulante you can suggest for fibrilation. Xarelto and Pradaxa are two reasonable options. Thank you very much Dr. Jason. I will ask my doctor to change it for any of these two. This way I can know that pain around knee and hair loss is caused by Eliquis or metaprolol. As the later one I will continue. I am 55 yrs old at 49 I had a mild stroke at the medulla oblongata that was in 2012. In 2016 in had saddle PEs and a DVT. I was admitted in icu and underwent the EKOS procedure. I have family history of strokes this includes 4 generations. After I was discharged I took it upon myself to go a Hemotologist. After some testing nothing showed up but then I showed her my trunk and arms I’m covered with cherry hemangiomas she knew we needed to do further testing. Upon further testing we found that I have elevated factor VIII and a deficiency in factor IX and X. I was on Coumadin 10 mg a day no problems for a year but then I wanted something where I could eat more greens so I was put on Eliquis5mg bid. My question is Eliquis ok for factor X? There have not been any randomized control trials using Eliquis in specific hypercoagulable disorders. I would discuss the use of warfarin versus the new anticoagulants with your hematologist. I have had a #4 and a #5 vertebra surgery. Is this a reason not to take Eliquis? No, you should be able to take Eliquis. I would discuss this with your physician. My husband is 68yo and had a stroke 5 yrs ago. No obvious cause was found, only that his EF is 25% from a MI/CABG 20 years ago. Has never had CHF or A-fib, all bypass grafts clean per cath. He’s been on coumadin (stable INR’s, no side effects–just dietary inconvenience) but recently switched to eliquis after recently having an AICD inserted for a run of (stable)V-tach. Unfortunately with insurance issues the cost has gone up tremendously and we would like your opinion…..without A-fib or any DVT hx (as in his case) is eliquis really significantly superior to coumadin?? or is it more of a convenience issue?? We are trying to determine if the benefit/risk of eliquis vs coumadin is such that we should bite the bullet on the monthly price increase even though it will be a stretch (but doable). Without any documented AFib (or other indication for anticoagulation), then anticoagulation would be of questionable benefit. He is certainly at risk for developing AFib, but if it is not documented currently, then there is no reason for anticoagulation. I would recommend a 30-day Event Monitor, and then possibly an implantable loop recorder (ILR), for a thorough monitoring for AFib. However, his AICD should also be able to monitor for AFib. You should have a discussion with your physician regarding the risk/benefit of anticoagulation without documented AFib and how to monitor for AFib moving forward. With regards to Eliquis versus warfarin, if there is a financial hardship, then warfarin is a very reasonable medication for stroke prevention in AFib. I am a 74 yo female with afib. I have had no symptoms since my second ablation in 2013 but my cardiologist has insisted on anticoagulantion. I’ve taken Eliquis for the past year which, along with my Lyrica, had put me in the “donut” hole! Being on a limited income I have opted to change to Warfarin which we are in the process of doing. I’m amazed that she insists that I continue on the Eliquis until reaching therapeutic range with the Warfarin. After two weeks of Warfarin I’m still only 1.4! It seems to me the Eliquis would hinder the Warfarin but she says it’s protocol and safe! Is it? Eliquis will not hinder the warfarin. And, yes, you should continue the Eliquis until your INR reaches 2-3. Thank you very much your question! On medicare Plan B I pay $zero for warfarin and $zero for the testing. If I switch to Eliquis I pay $100 per 3 months and I have to remember to take one pill morning and another at night. So if you are on a budget, it’s not cost effective to switch. Thank you for those numbers, however, they could be different for others due to the various insurance providers. The money difference between warfarin and Eliquis could be reasonable for some patients looking to reduce recurrent lab testing and dietary restrictions. Yes, that should be fine. Just follow the directions of the prescription. I am 33 yrs old. I was Dx with a protein s deficiency. I had what they believe was a TIA 10 years ago after I started birth control. Immediately I was told no estrogen ever. I still continued to get what they always called migraine auras, but my arm always goes numb when they happen. They last for about 20 min. I was told to check out a hematologist last week who said my protein s activity was low at 44. Wants me to start elequis but I’m scared of the side effects being so young. The side effects of Eliquis are very minor, risk for bleeding (which is the point of the medication) is the most notable side effect. It would be reasonable to consider your Hematologist’s recommendation. My husband had a heart valve operation that repaired his leaking valve and he had a clamp put on which stops the blood from pooling when he’s in AFib. After the operation he was taking Pradaxa but then our insurance changed the tier and it was too expensive so he went on Eliquis. After a few months, he has had headaches 24/7 and he’s had 2 MRI’s and the neurologist said the MRI’s don’t show anything of concern and can’t figure out what is causing the headaches. Since one of the side effects of Eliquis are headaches, do you think Eliquis could be the cause of his headaches? Anything is possible, but headaches are not a common complaint with Eliquis. However, an easy thing to do – under the direction of your physician – would be to switch Eliquis to either Xarelto (rivaroxaban) or Savaysa (edoxaban) or even Coumadin (warfarin). If the headaches go away, then you will have your answer. I have been diagnosed with renal infarct left kidney and was put on eliquis i am not liking the side effects muscle pain and headaches. I do occasionally drink beer what would be good and bads of switching to warfrin? I have Protein S Deficiency, clotting occured over 15 years ago. I am 58 years old and am in good shape. Coumadin has been fine but concerned about long term effects and wondered if Eliquis was better option? DOACs have been considered as potential alternatives to warfarin based on their pharmacologic activity and the currently available evidence has indicated positive results in patients with inherited thrombophilia and venous thromboembolism. So, Eliquis could be a better alternative to warfarin in your case but would suggest a thoughtful conversation with your physician before making any changes.